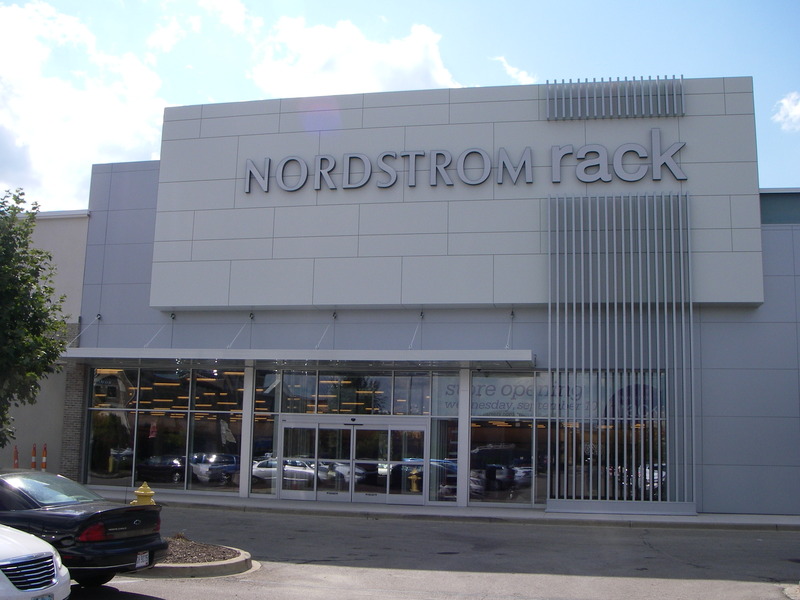 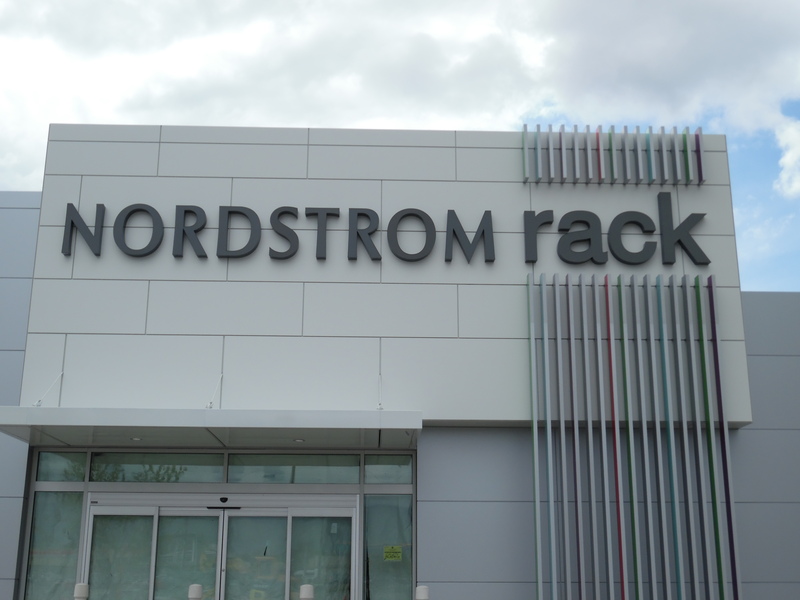 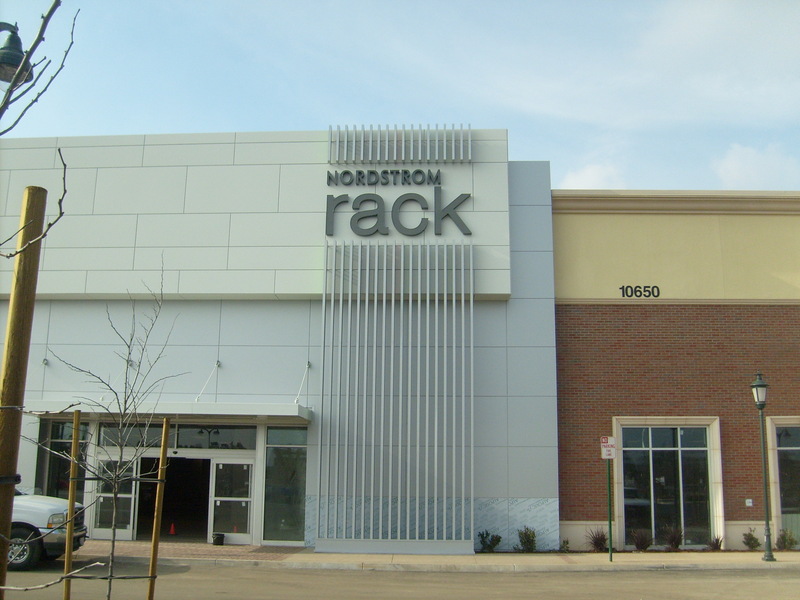 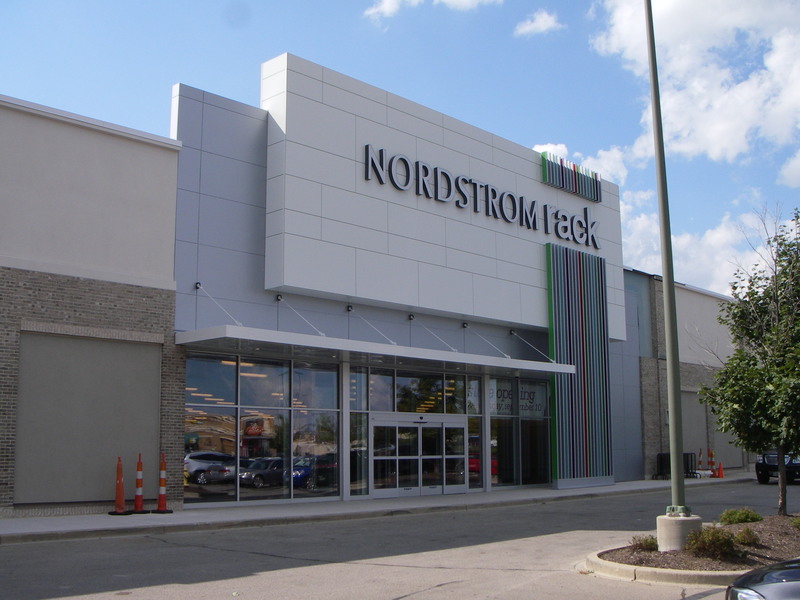 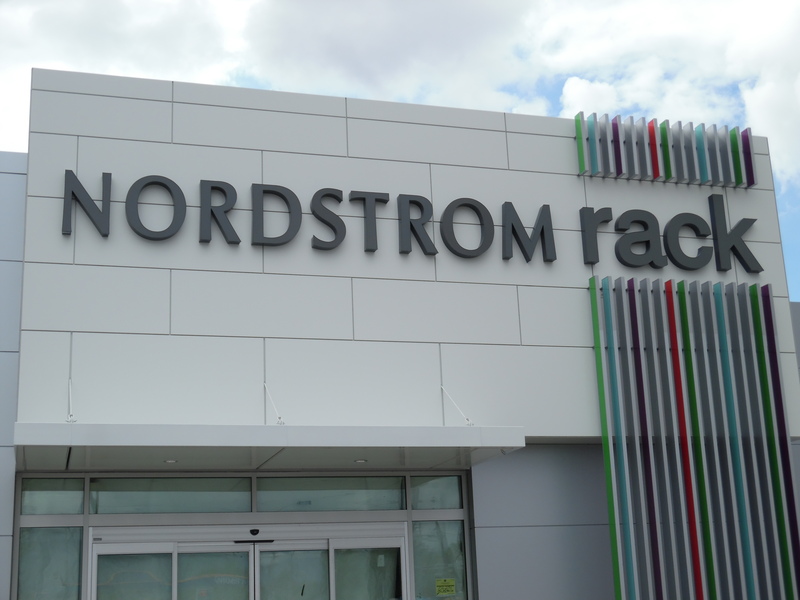 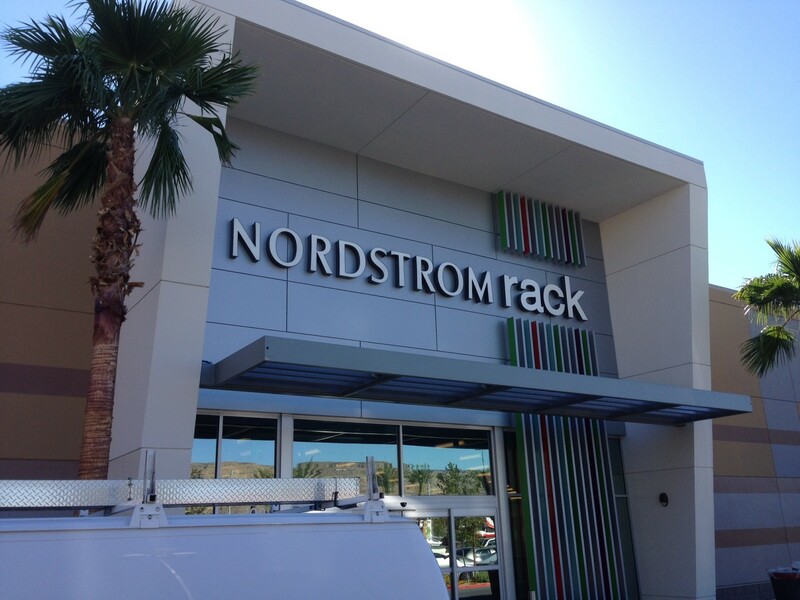 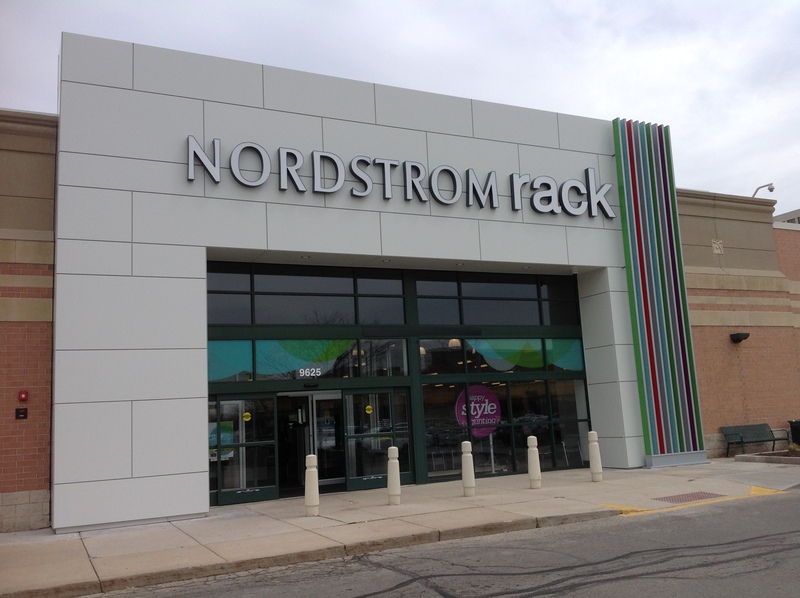 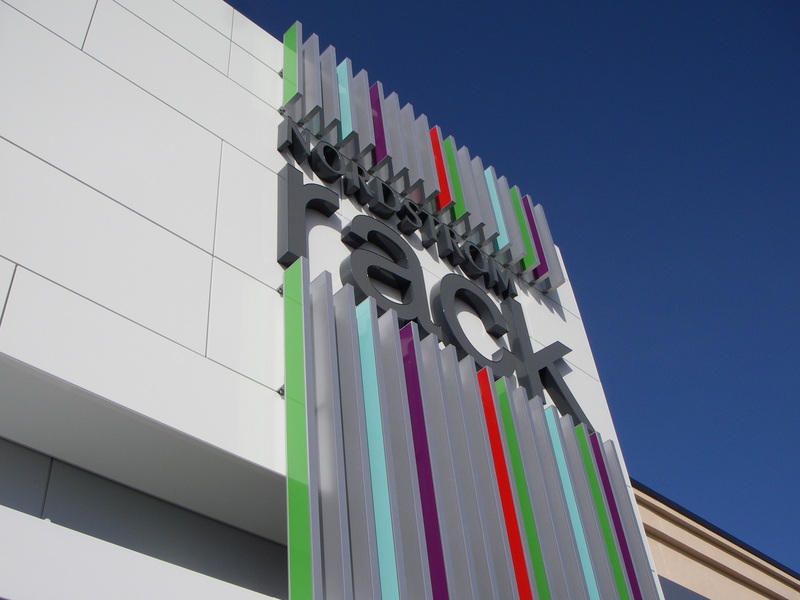 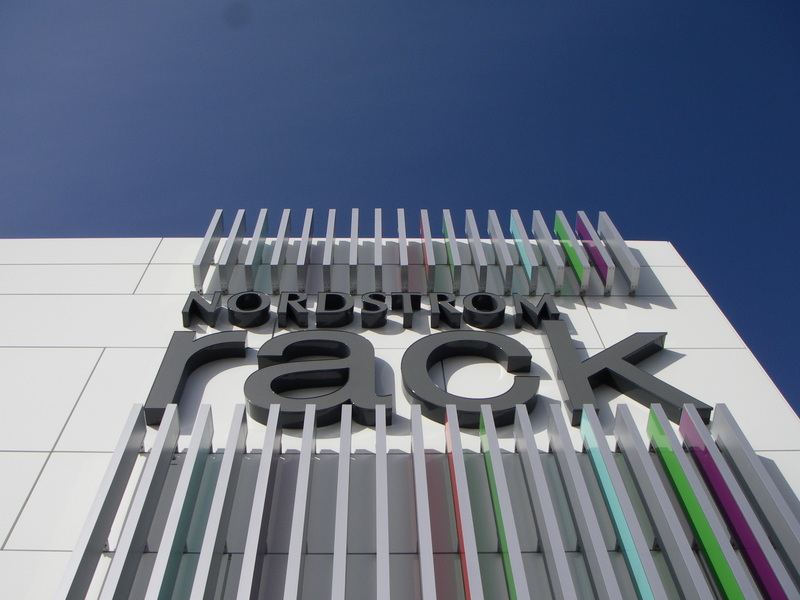 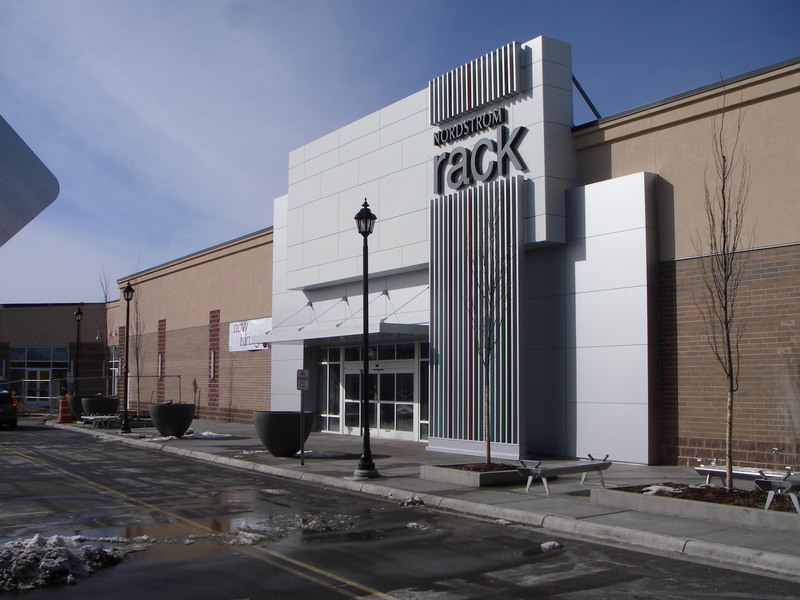 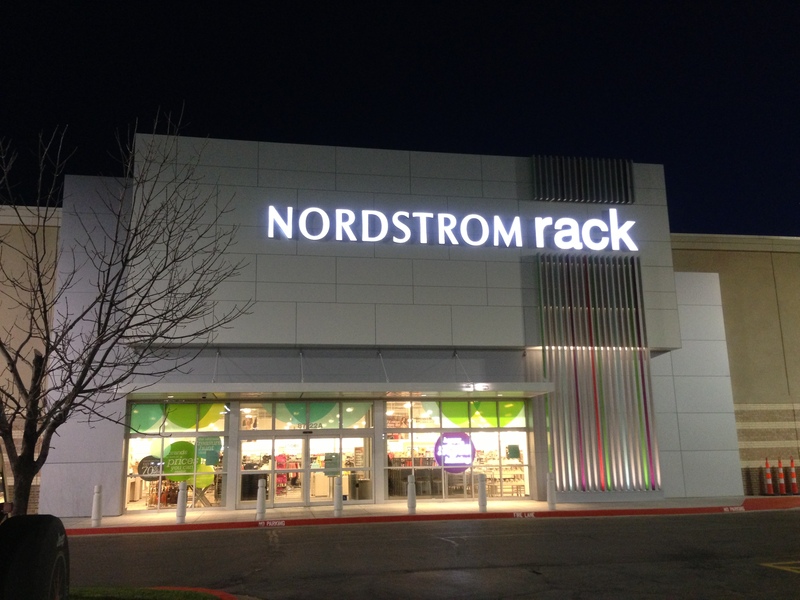 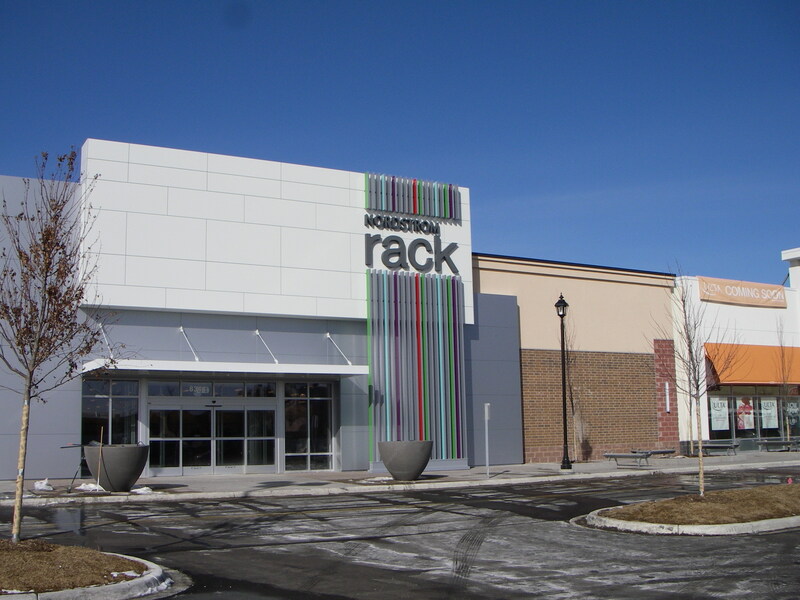 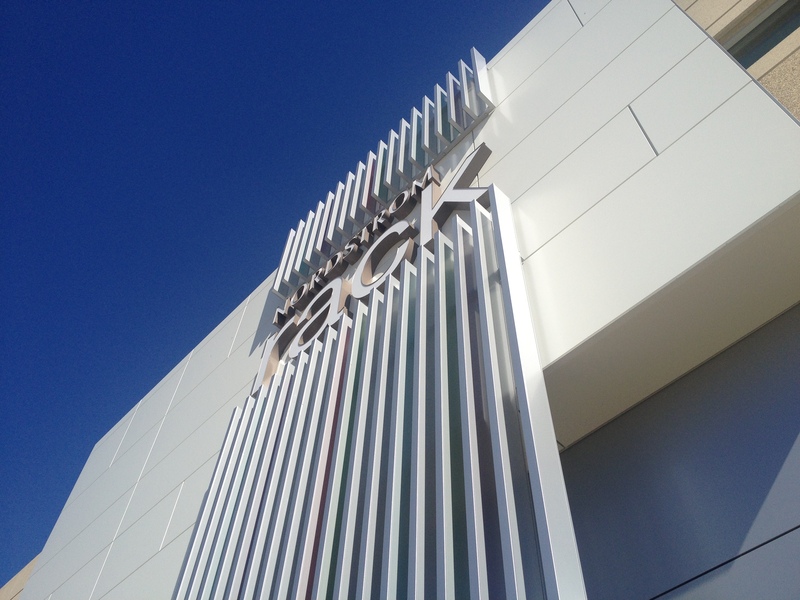 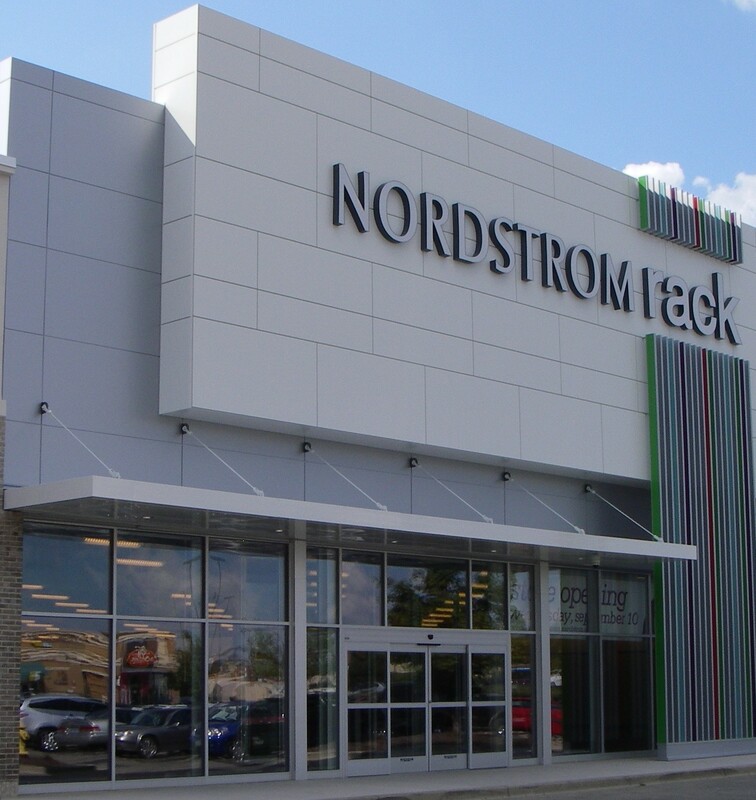 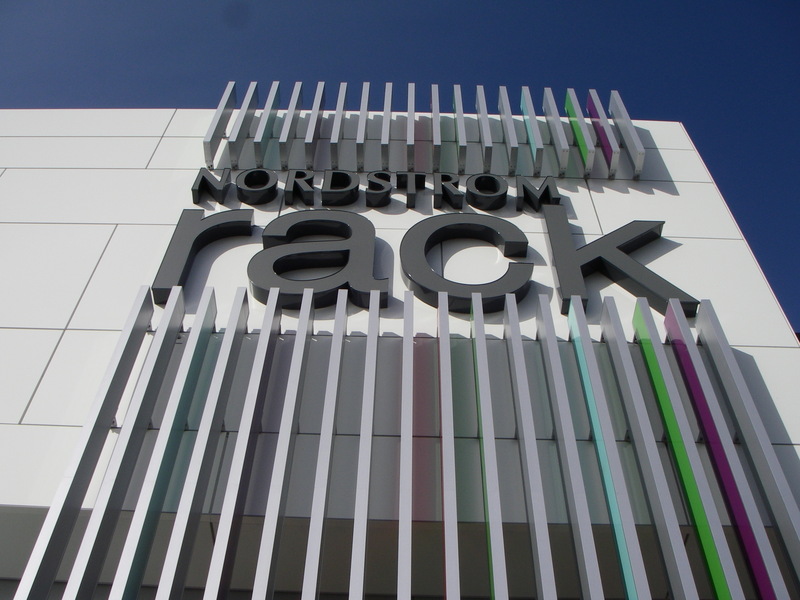 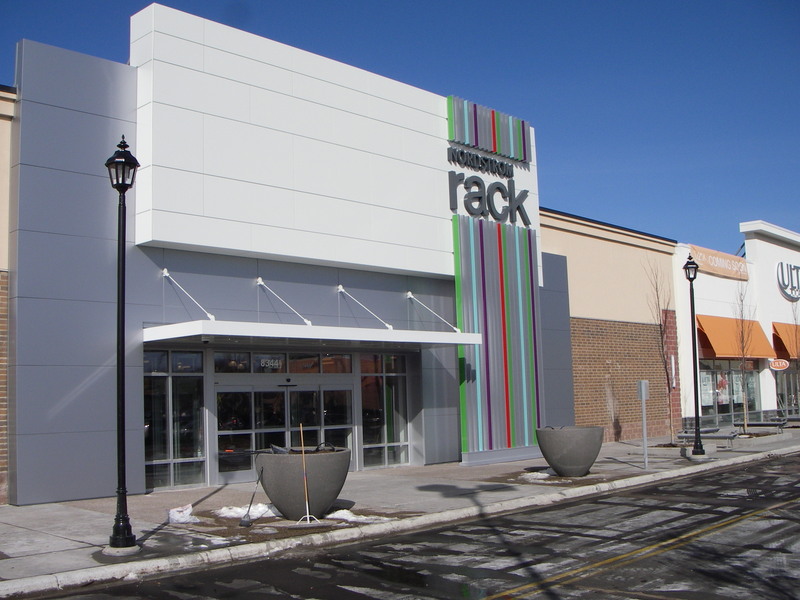 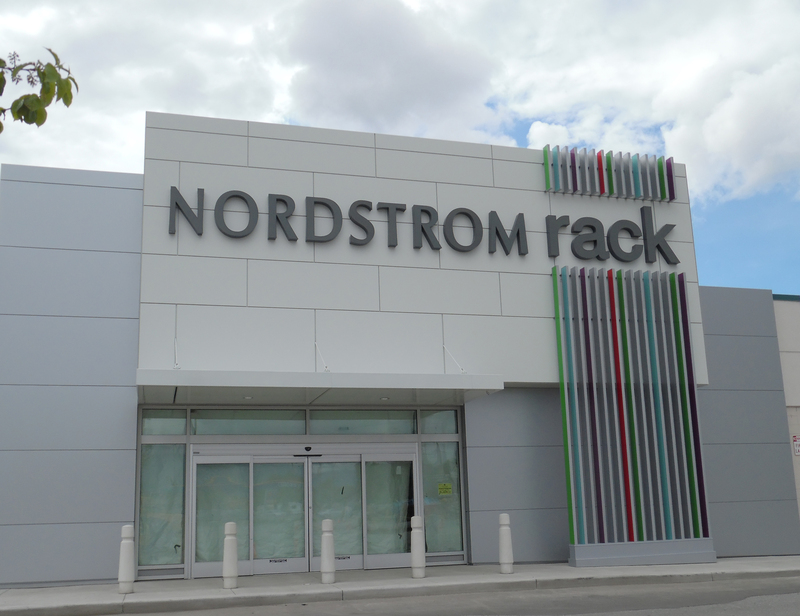 Metal Design Systems began working with Nordstrom Rack to manufacture many non-prototypical sites with architectural features, while still maintaining consistency. 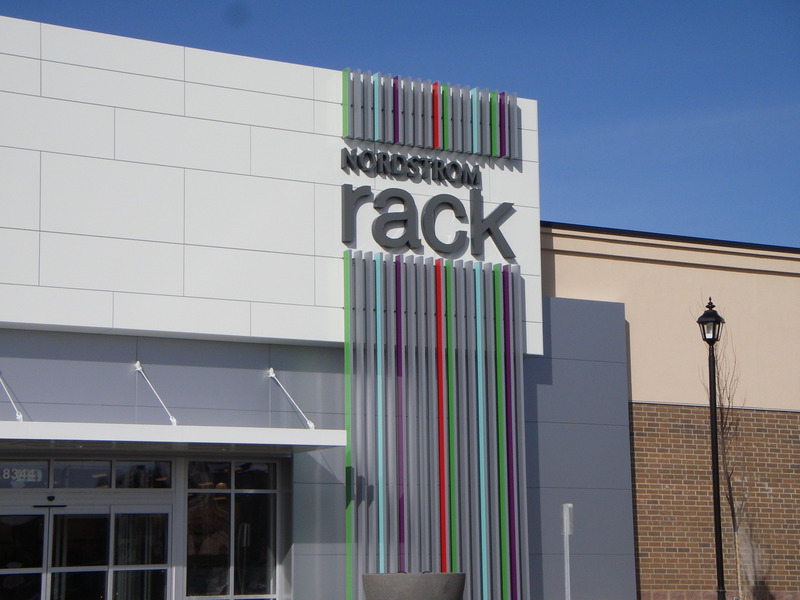 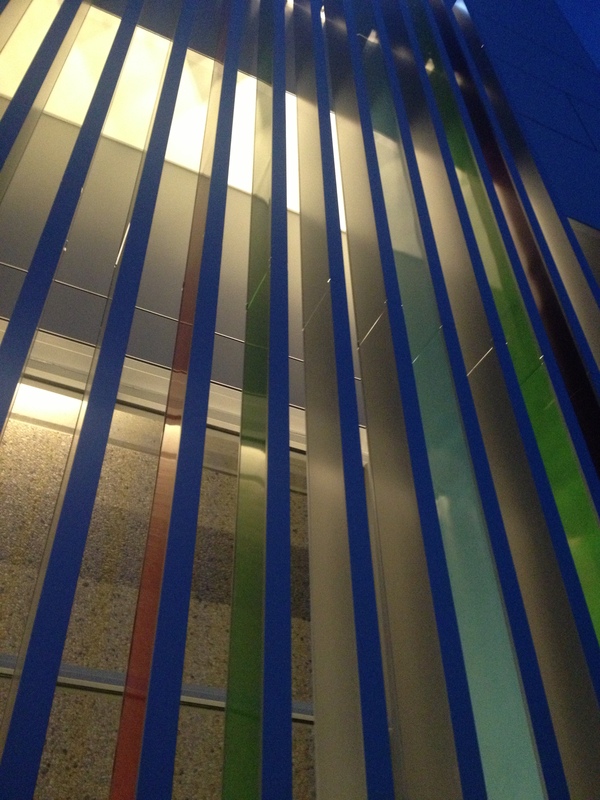 A key component of this brand are the ribbon elements, which integrate vibrant colors only visible to the entry door store front. 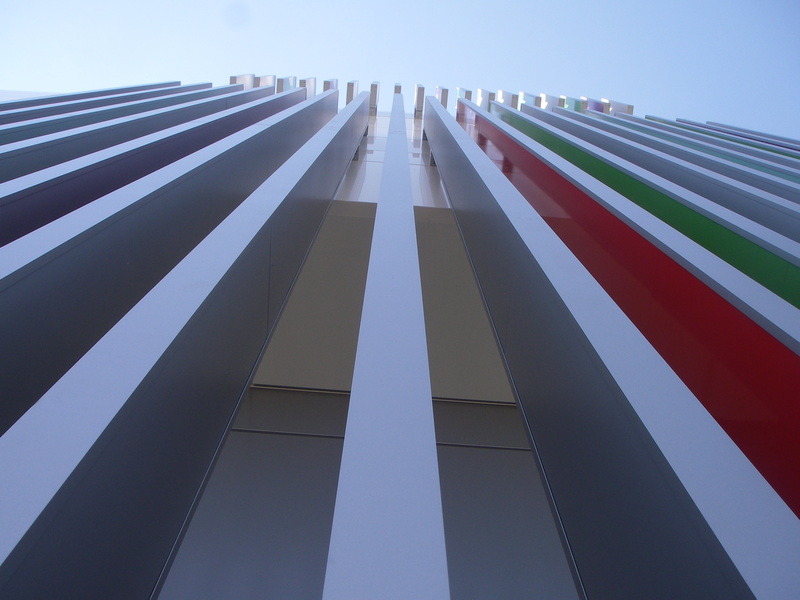 The opposing side appears as all silver. 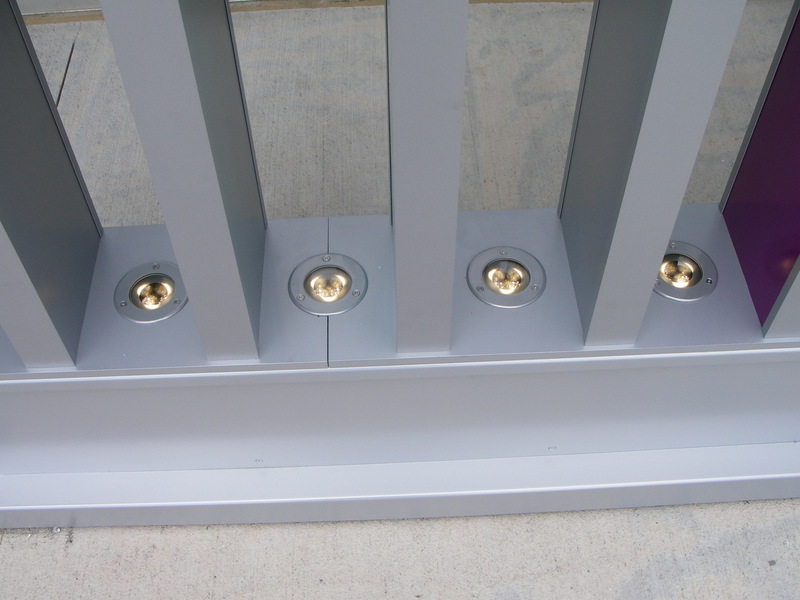 These colors are replaceable as desired with the custom built base developed at MDSI. 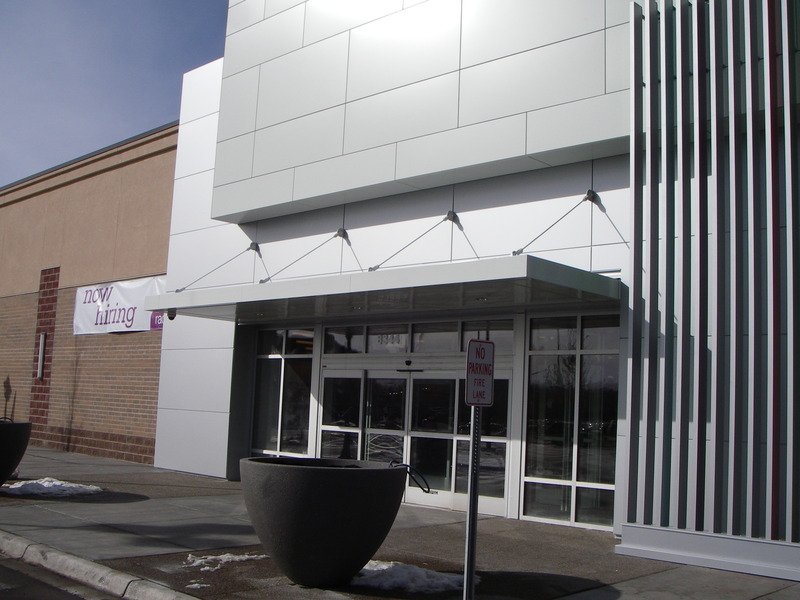 Series 20 with white ACM, and Series 44 in silver metallic panels were used for the smooth appearance and ease of installation.